BM 2/C Paul L. Martin, son of Mr. and Mrs. Goff martin, Graham, attended Perrin High. 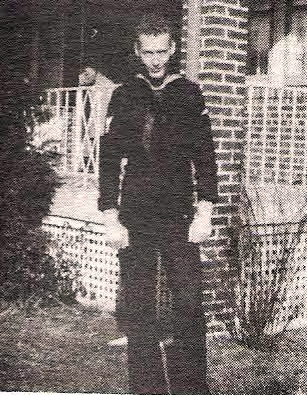 Entered Navy in 1943, trained at San Diego. Served in AP Theater, Peleliu, Okinawa, and occupation of China. Awarded Purple Heart, and GCM. Wounded at Peleliu. Discharged in 1946.